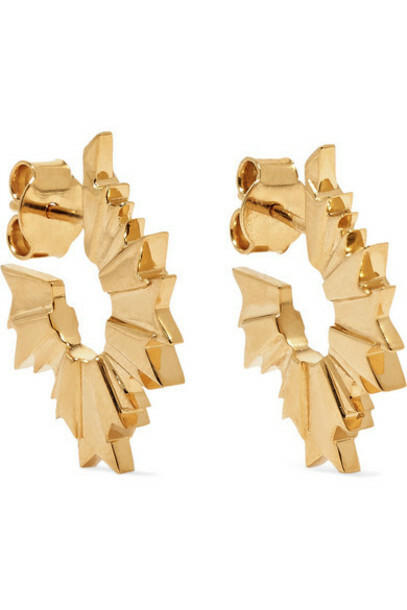 Meadowlark's 'August' earrings are an edgier take on classic hoops - instead of smooth rounded edges, they're tipped with textured spikes. This pair is cast by hand from gold-plated silver and feel so light, making them perfect for everyday wear. Sweep your hair back and stack with smaller studs.